Atlanta, Georgia business lawyer from Hill, Kertscher & Wharton, LLP recently received the highest rating of 10.0/10.0 from leading attorney rating organization, Avvo. Scott is an exceptional attorney who brings a very well-rounded skill set to our clients’ matters. Attorney Scott Wharton was recently rated 10.0/10.0 by AVVO for his significant work on behalf of individuals and business clients. The AVVO rating is one of the most respected among attorneys nationwide, because it is determined by a mathematical model that considers a lawyer's years in practice, disciplinary history, professional achievements, and opinions of other attorneys. Wharton’s AVVO rating is a testament to his commitment to providing effective legal representation to business owners and corporations of all sizes. 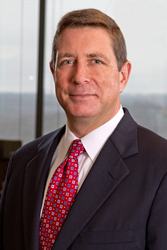 Wharton has practiced law in Georgia for nearly 30 years, and is a pioneer of the flat-fee, outside corporate counsel model for delivering cost-effective legal services. Receiving the highest rating from Avvo did not surprise Wharton’s law partner, Steve Hill, with whom he founded Hill, Kertscher & Wharton, LLP over 15 years ago. Wharton is no stranger to recognition for excellence in the practice of law. He has been named a Super Lawyer by Thomson Reuters five times and has been honored by Georgia Trend Magazine as one of the state’s Legal Elite every year since 2012. About Hill, Kertscher & Wharton, LLP: Nationally recognized for its work on behalf of businesses and individuals, the AV Rated law firm of Hill, Kertscher & Wharton, LLP provides top tier legal representation in business litigation, intellectual property, corporate law, and employment matters. The firm is also considered a pioneer in outsourced corporate counsel services and flexible fee arrangements for businesses that seek a more cost-effective way to handle their legal matters.